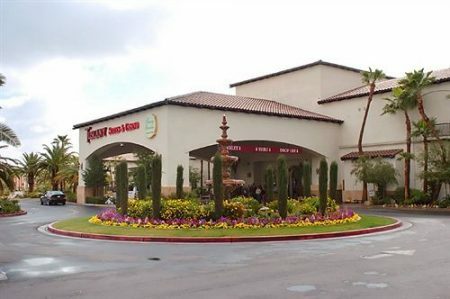 The Tuscany Suites & Casino, 255 East Flamingo Road, an excellent choice for those who want a luxury suite, that offers a great range of facilities while being close to the world-famous Las Vegas Strip. The Tuscany Suites & Casino is a beautifully designed hotel and casino combination, set in 27 acres of beautiful gardens, is located around one kilometer from the legendary Las Vegas Strip. 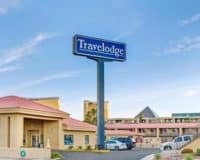 This along with its great range of facilities makes it an excellent choice for those who want a comfortable resort, which is slightly removed from town. The hotel provides a great range of amenities, foremost of which is the vast casino complex, which provides a range of options like slots and table games, to suit all tastes: from novices all the way up to high rollers. Alongside this is a sparkling blue outdoor pool, which you can relax close to, or swim in during the hot Nevada days. The hotel also offers guests the chance to get a relaxing treatment or massage in the high-class spa or workout in the modern gym/fitness center. 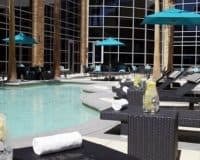 Guests may also enjoy a late afternoon drink in the bar by the pool, or a bite to eat in the hotel’s own pizza restaurant. The rooms at the hotel, come in the form of suites, providing comfortable beds and modern bathroom areas, some of which come with a separate bath and shower combination. They also offer spacious dining and living areas, that provide work spaces and free cable televisions. All of this and more ensures that you will feel totally at home during your stay. This makes the Tuscany Suites & Casino an excellent choice for those who want a luxury suite, close to the world-famous Las Vegas Strip. 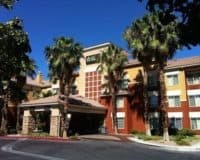 The range of amenities on offer and great casino ensures that you will have a comfortable and relaxing stay, during your Las Vegas vacation. 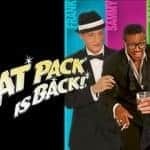 The Rat Pack Is Back: Frank, Dean and Sammy – are back in their spiritual home, Las Vegas! Around 2 miles from the Las Vegas Convention Center. 2 miles from airport and 1 mile from shopping district.